I can not even begin to describe to you how good these cookies are! Soft and chewy. Packed full of chocolate. Little hints of salt. Heaven. This was my first time adding chopped chocolate to cookies. I was amazed by how it transforms an ordinary cookie to out-of-this world amazing! 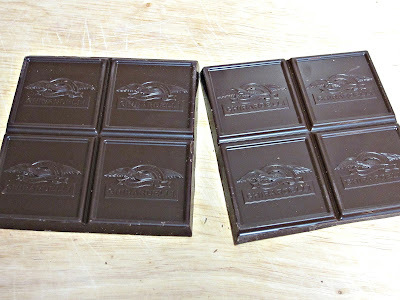 I used Ghiradelli’s bittersweet chocolate, which is to-die-for as you may know. Adding chopped chocolate creates chocolate pockets of heaven throughout the cookie and there is never a bite you take without having chocolate in it. I will admit it’s a lot more pricey than just using chocolate chips. But you could use bittersweet chocolate chips and chop them up. If you follow my blog you might know I am quite the fan of the Bi-Rite Creamery! Although I have sadly not actually been to their store (located in San Francisco) the owners are pretty much the coolest people in the world to share many of their recipes in their book, Sweet Cream and Sugar Cones. I have fallen in love with their recipes and have shared a few of their ice cream recipes here. I was so excited to try their chocolate chip cookies and it did not disappoint These will be the best chocolate chip cookies you have ever had! I really hope you give it a try. It will change your life! 1. In a medium bowl, whisk together the flour, salt, and baking soda and set aside. 2. In the bowl of a stand mixer with the paddle attachment, combine the butter and both sugars. Mix on medium-high speed until lightened in color and fluffy, about 2 minutes. With the motor running, add the eggs one at a time, blending thoroughly after each addition, then add the vanilla. Scrape down the bowl, add the chocolate, and mix on low speed until combined. Add the flour mixture and mix on low speed just until the dough comes together, about 15 seconds. 3. Cover the bowl with plastic wrap and refrigerate until the dough is firm, at least 2 hours or up to overnight. 4. When you’re ready to bake, position racks in the top and bottom thirds of the oven and preheat the oven to 350 F. Line two baking sheets with parchment paper or nonstick mats. 5. Scoop up 2 tablespoons of dough and form the dough into a ball. Repeat until all the dough has been shaped. Place the balls 2 1/2 inches apart on the baking sheets. Flatten the balls slightly with the palm of your hand. 6. Bake for 7 minutes, then rotate the baking sheets top to bottom and front to back. continue to bake until the cookies are golden brown, 6-8 minutes longer. Let the cookies cool for a minute or two on the baking sheets, then transfer to a rack and let cool completely. Repeat with the remaining dough. Store in an airtight container. I’m totally trying these! 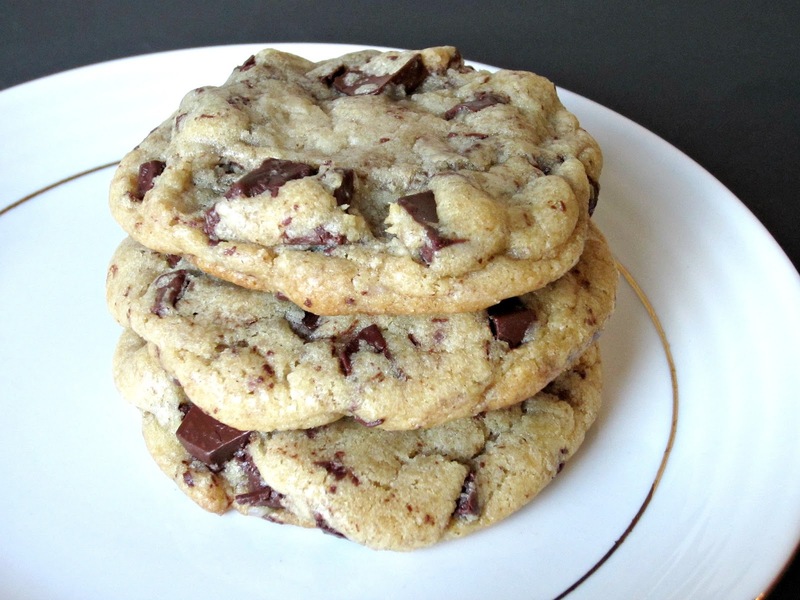 I can never get enough chocolate chip cookie recipes in my life. Bi Rite triple chocolate cookies are the bomb!